Whether you’re taking a family trip or planning a group getaway with your besties, Luxury Retreats has got you covered. I would highly recommend their luxurious and fully staffed Villa Mana. 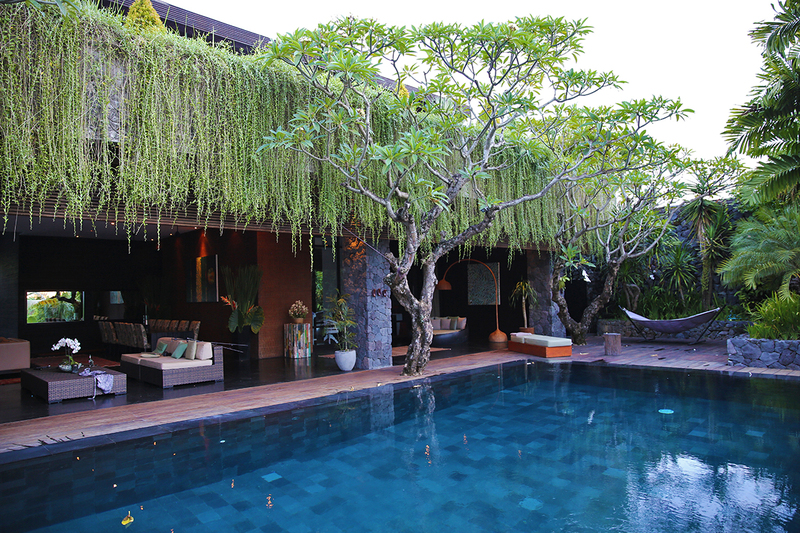 This jungle hideaway is located in the town of Canggu on the island of Bali. It is set amidst a backdrop of sprawling lush green rice fields, tropical foliage and beautiful beaches. The elegance of the décor partners perfectly with the tropical surroundings. The villa sprawls throughout two levels and has minimalist modern décor, exhibiting my favorite color scheme of grey stone and smooth black concrete flooring. It has six large bedrooms, three of which are masters, and there is an additional bunk room containing four bunk beds for the kids. These bedrooms are all air conditioned and have sliding glass doors that open from wall to wall. Some of my favorite features of the villa are the well-designed and spacious bathrooms. All ensuite bathrooms are unique from one another. 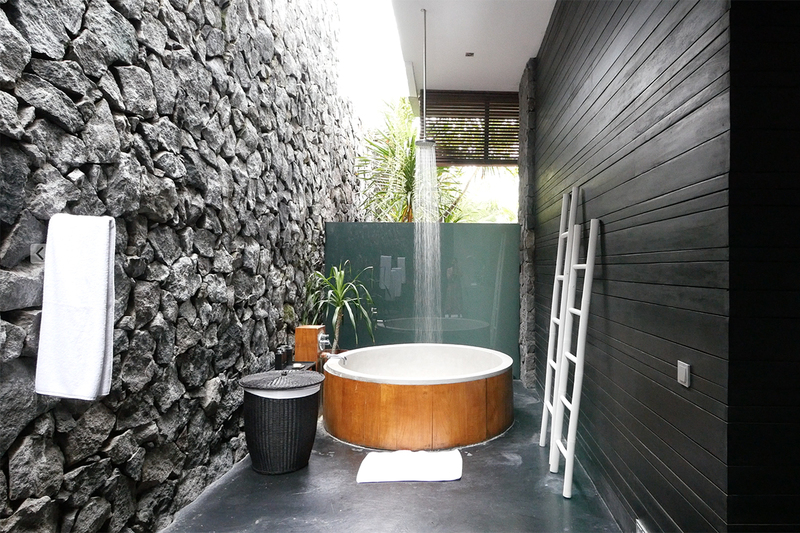 Some have open air on one side with a glass roof and big rain shower, giving a fresh rainforest ambience. Others have beautiful bathtubs and giant center island, providing a useful abundance of counter space. When you book with Luxury Retreats, they will seamlessly cater your preferences to your stay, pre-arranging everything from car transfers and massages to pre-stocking the villa with whatever you want. It makes for a relatively stress-free trip as opposed to researching and coordinating everything yourself from afar. Villa Mana has a phenomenal spacious living area that totally wowed me! It is all covered yet open to the outside, and ever so sleek and elegant in its simplicity. The size and openness makes it such that there is always a spot available to spend in solitude, even if you’ve come with a large group. Villa Mana also has a fully stocked kitchen, an office, and a large entertainment room stockpiled with all kinds of games, couches, and a tv/dvd player. It’s a perfect playroom for kids when they’re not splashing away in the pool or down at the beach. There is free wifi, a safe, a bbq grill and parking. When you step outside, you’re in for a real treat! You’ll find verandas and capacious terraces on both levels, complete with daybeds and loungers. Guests will be dazzled by the large (17 meter) beckoning infinity pool with its timber deck. The pool area is adorned with hanging gardens all around—luxuriant trailing vines and creepers pouring over from the top level to the lower. The surrounding Frangipani trees and lush foliage make it absolutely enchanting. One of the most wonderful things about staying at Villa Mana, is that it has a superb staff of 11 people whom tend to your every need. With a villa manager, full time butler, gardener, housekeepers, security and incredible chef (masseuse and babysitter also available upon request), you can make this vacation totally about relaxing and enjoying yourself because you won’t have to cook, clean or do laundry. The staff was very courteous and obliging, yet non-intrusive. 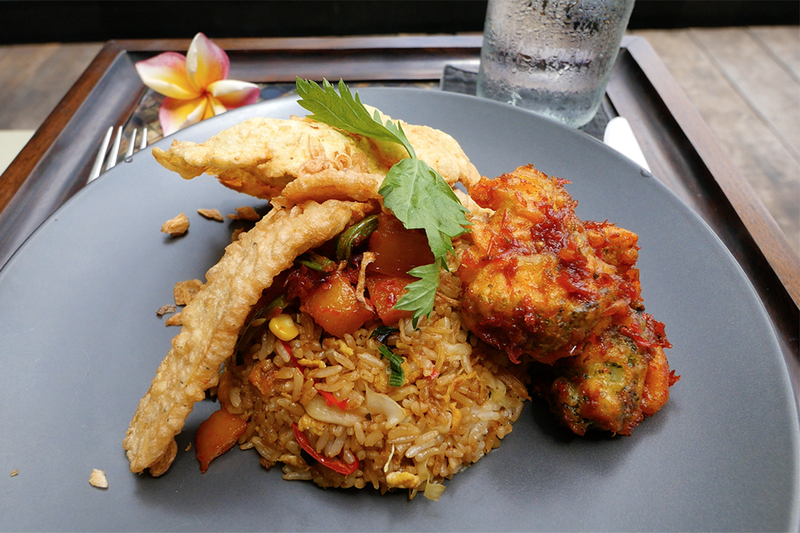 All meals are provided for guests, who will have pre-selected their preferences from an Indonesian or Western menu. I found the Indonesian flavors to be so distinctive and delicious, and that’s all I wanted during my stay. The chef had some serious kitchen talents that had me in food heaven for the duration of my visit. I’m embarrassed to say that I pretty much licked my plate clean after each multi-coursed meal. As luxurious and relaxing as this villa is, there is no need to worry about turning into a couch potato during your stay! There is so much to do at the villa and nearby. Aside from the pool and entertainment room, there’s a croquet and a soccer area in the lower yard. There are also bicycles available to explore the sites. Just a short drive will take you to Echo Beach with its world class surfing and spectacular sunsets. A bit more of a drive will bring you to scenic golf courses, beautiful ancient temples, and daredevil water slides. 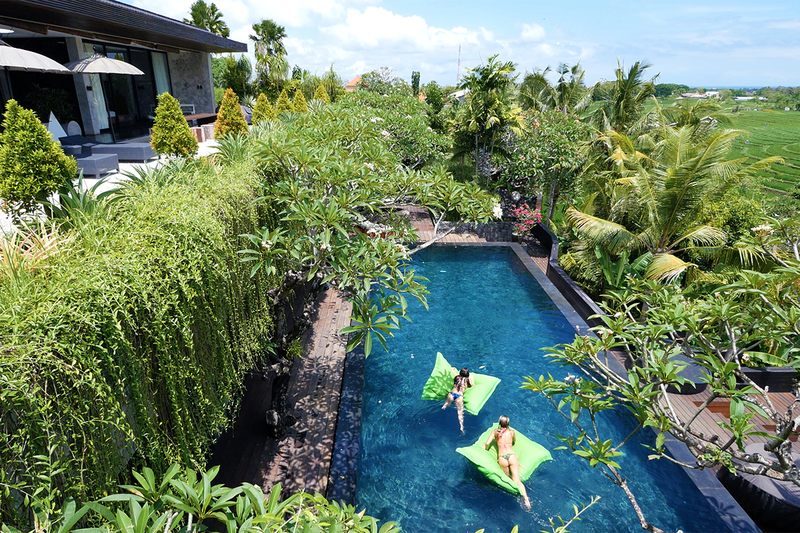 The nearby town of Seminyak offers shopping and bustling nightlife. 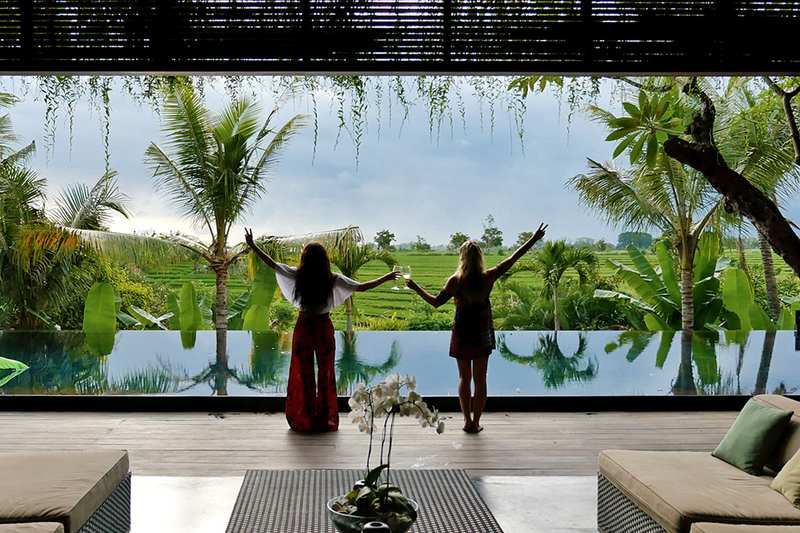 Available to guests of Villa Mana is the Canggu Club, which has a gym, tennis courts, trampoline, waterpark, sports field, pool, spa and bowling, amongst other things. Usually when I’m traveling I cram as much adventure and exploration as possible into each day. Villa Mana was different for me. I preferred to stay on site. 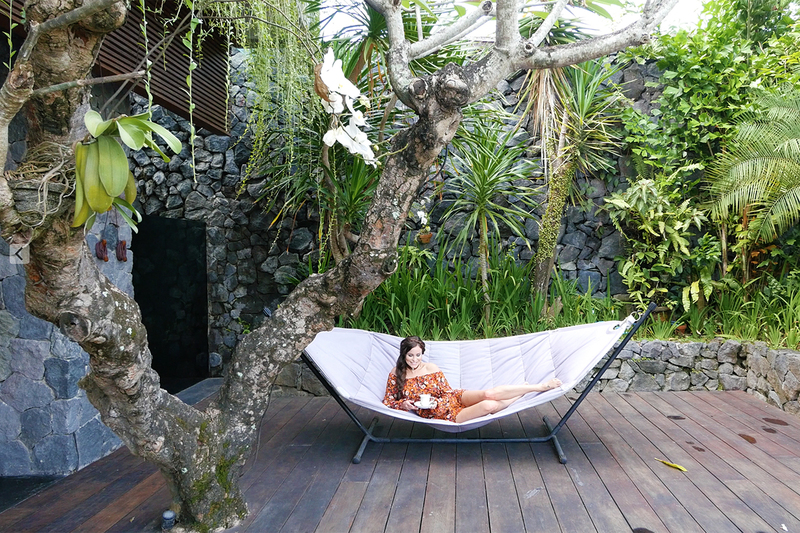 I was so content enjoying the serene Balinese surroundings that I didn’t have any desire to leave. When it was time to depart for my next destination, I felt wonderfully rejuvenated. *I was hosted as a guest of Luxury Retreats, however all of the opinions expressed in this article are, as always, my own. Love this article, especially the video! 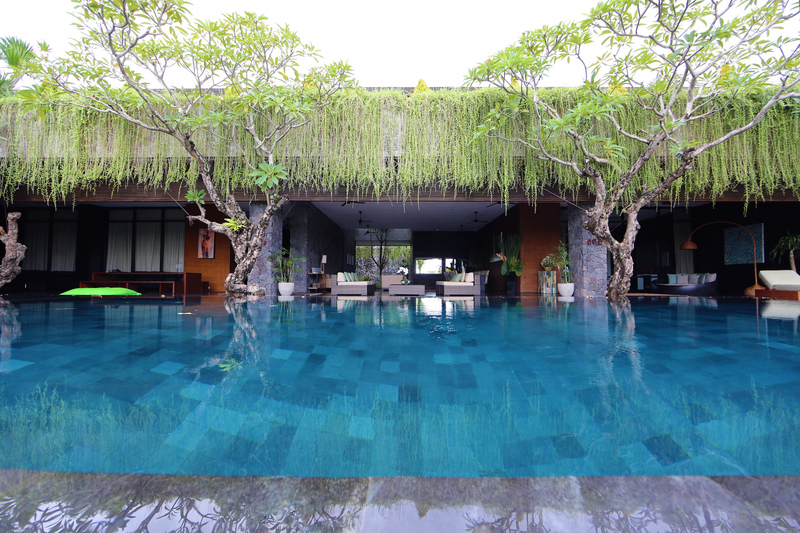 Villa Mana is amazing! OMG Looks like a dream. I’m so staying there when I go to Bali!